I have always been a fan of instant gratification. That isn’t to say that I can’t be a patient person–I am just inordinately pleased when I finish things quickly. Back in second grade, my teacher, Mrs. Sowle, called me Speedy Gonzales. In fourth grade, I had to stay in one morning recess and write lines for Mrs. Eggers: I will slow down and not make careless errors in math. Fifty times. I love the swiftly beautiful lines of a newly vacuumed room and a freshly mown lawn. I like that when I text my friend and colleague Becky with a computer question, her response is practically instantaneous (she’s that fast!). And don’t get me started on radishes!!! 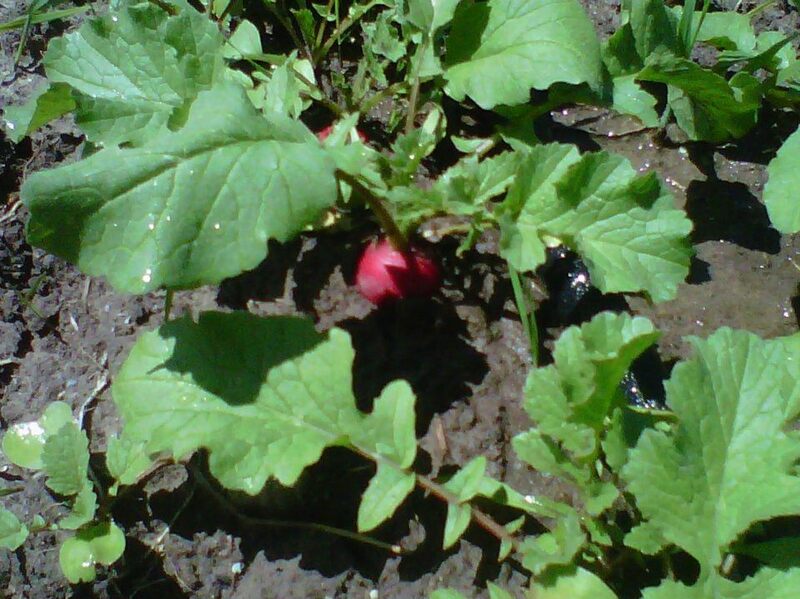 Oh my lovely radish…how quickly you grow. Perhaps that is why I enjoy knitting baby booties, hats, wash cloths, and my favorite: the Six Hour Afghan (I’m on my fifth one). 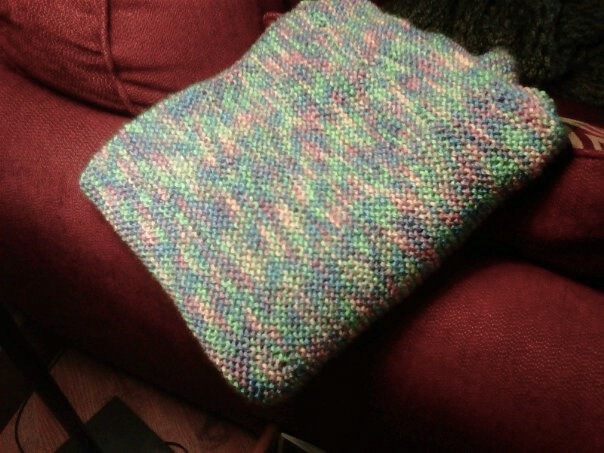 My very first knitting project was a garter stitch baby blanket. Holy smokes. I thought it would never end, but it did, with newbie mistakes and dropped stitches throughout. Luckily, its recipient doesn’t know any better, and the recipient’s mother is also a knitter and kind enough to appreciate my first effort. 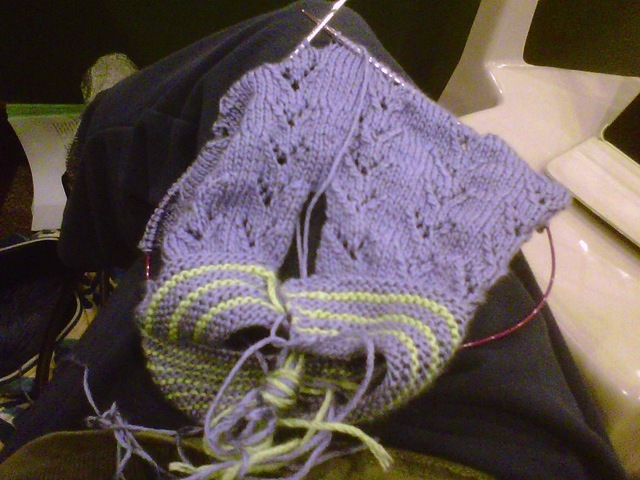 I moved on to hats–took a few tries, but I finally grew passably good at knitting in the round and making even decreases. 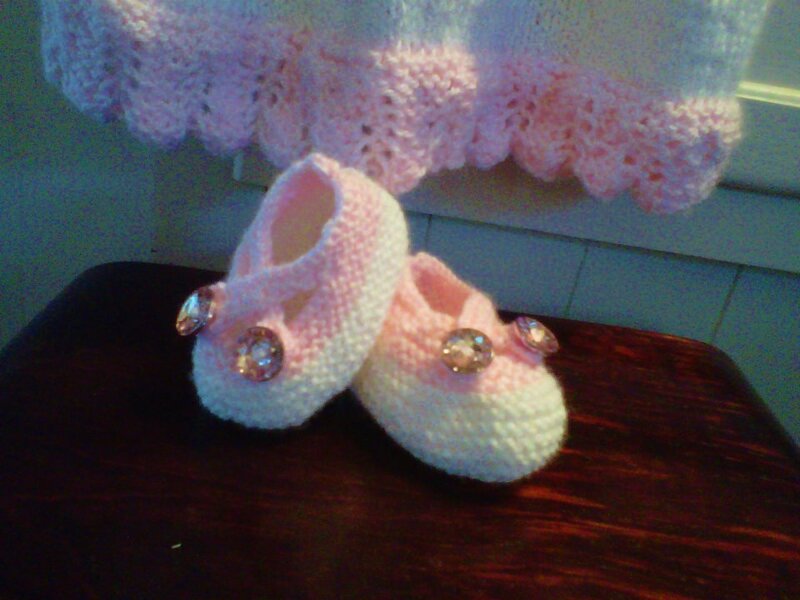 I fell in love with making baby booties, specifically ones called Saartje’s Booties and Baby Uggs. Christmas ornaments were fun and very quick. But then there was–is–Fiona’s Top. Fiona’s Top is the only pattern that I have actually purchased, and at $9, it is an expensive one. I researched the perfect yarn, selected the colors, and planned to make a 4T size for my friend’s daughter Olivia. It was going well–until I started avoiding it. It was taking soooooo long. I had to diligently count the lace pattern. If interrupted, I would have to invariably tink tink tink until I corrected the pattern from where I lost my place. I actually didn’t knit all summer when this project was active–I always found something better to do–and I love knitting. I talked it out while walking with my friend Carla (who was not only the one to receive my first blanket, but also my second attempt at booties, which were very special. Hopefully Hazel will grow to have two very different sized feet). Following our walk, I frogged the whole thing. It wasn’t easy, but let’s face it–it was never going to get done. I couldn’t give up on the pattern, though. First of all, it is really cute. Secondly, I paid 9 bucks for it! I decided to try the smallest size in the pattern, and I currently have the yoke and nearly all of the back part of the dress completed. I put it aside for a bit (for me, that stitch counting on the lace section requires isolation and no interruptions) but I will come back to it soon. After I finish Christmas. 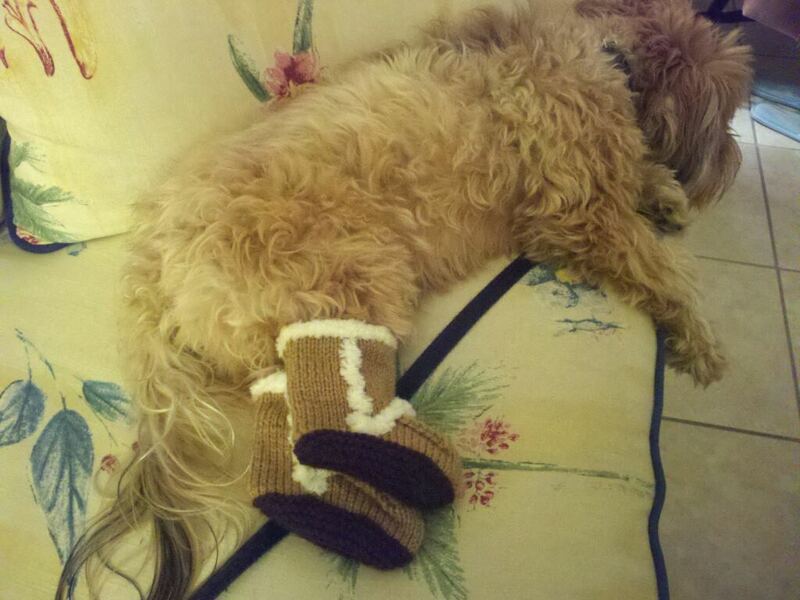 And knit baby Bentley’s Uggs. And make Gavin’s hat. It will get done. One day. Fiona’s Top. Work in progress. Do you love instant gratification as much as I do? Do you have a project, knitting or otherwise that you just couldn’t make yourself finish? Any tips for me? This entry was posted in Knitting Obsessed and tagged Baby Uggs, Fiona's Top, instant gratification, knitting, Saartje's booties. Bookmark the permalink. Ha! Do you prefer long term projects? When the top is done it will be beautiful. Persevere Miss Jenny. Love the blog. Thank you! Maybe I will bring it to Florida!